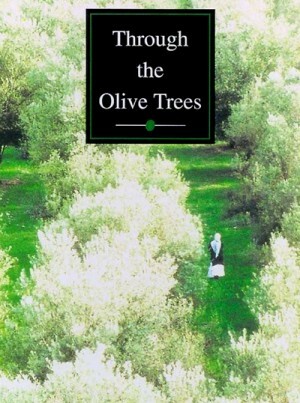 The third part in Abbas Kiarostami's masterful Koker trilogy (sometimes called the "earthquake trilogy"), Through the Olive Trees tells a fictionalized story of the shooting of the previous film, "Life and Nothing More..."
A film director is making a movie in the Iranian countryside. He recruits local actors, but when shooting begins, a problem comes to light. His male lead, a young man named Hossein (playing himself), is madly in love with his fifteen-year old female co-star, Tahereh (playing herself). Because of Hossein’s illiteracy and homelessness, a marriage is impossible, at least from the perspective of Tahereh’s grandmother (who is also her guardian). Mohamad Ali Keshavarz plays the Kiarostami-like film director who tries to sort it all out.